Shanghai Shuncom Smart Technology Co., Ltd.
Shanghai Shuncom Smart Technology Co., Ltd. is a member of the zigbee alliance, a member unit of the zigbee China member group, a member unit of the smart home industry alliance, and a member of the China Lighting Association. The company is located in Shanghai Zhangjiang Hi-tech Park. Since its establishment in 2004, it has been focusing on the field of wireless communications with zigbee as the core, and has also expanded other communication technologies such as WiFi, GPRS, 4G, LoRa, NB-IoT, etc. We use professional technologies and Excellent service provides users with standardized and customized products. Shuncom Smart can provide IoT solutions in different fields such as smart home, smart lighting and smart industry. Its solutions include modules, gateways, sensors, and system control cloud platforms. The company integrates upstream and downstream companies in the industrial chain to form a strong ecosystem and provides one-stop services for end customers. "Technology stems from wisdom, and products come to good use," and expects to create value for you! 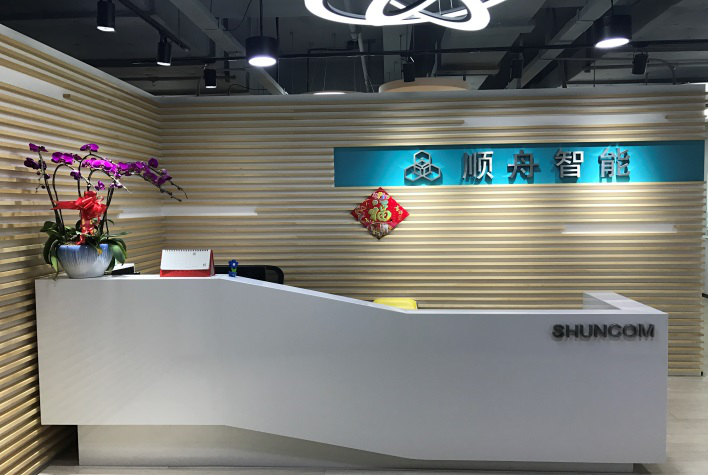 Shanghai Shuncom Smart Technology Co., Ltd.was officially registered and established to provide the most suitable products and solutions for China's wireless communications. ☉ Shanghai Shuncom Smart Technology Co., Ltd.official website http://www.jpok.tw officially launched. ☉ The first zigbee module of Shanghai Shunzhou Intelligent Technology Co., Ltd. went online. Zigbee products of Shanghai Shuncom Smart Technology Co., Ltd. were highly praised in the market and began mass shipments. Shanghai Shuncom Smart Technology Co., Ltd.has successively introduced wireless data acquisition equipment and smart home products based on zigbee technology. ☉ Shanghai Shuncom Smart Technology Co., Ltd. launched GPRS/GSM wireless transmission module/equipment. ☉ Shanghai Shuncom Smart Technology Co., Ltd. Wireless smart home system won the government innovation fund. ☉ Shanghai Shuncom Smart Technology Co., Ltd.successfully developed the personnel positioning system based on ZIGBEE. ☉ Launched low-power Bluetooth BLE module. ☉ Launched the HA Smart Home Communication Module. ☉ Launched the ZLL Wireless Lighting Control Module. ☉ Launched indoor lighting wireless control products. ☉ The wireless intelligent lighting system software platform V2.0 is online. ☉ The wireless smart lighting system won the government innovation fund. ☉ Won high-tech enterprise in Shanghai. ☉ Shanghai Shuncom Smart Technology Co., Ltd. introduced a low-frequency wireless transmission module (433M/470M) below 1G. ☉ The smart home 2530 product line officially landed and was approved by the leaders of the Ministry of Construction and the Ministry of Industry and Information Technology.